Market Report Note: Beginning in 2017, Market Reports for Metropolis Midtown will appear on this page, instead of a separate blog post for each report. If you are interested in tracking market activity in this community, we suggest you bookmark this page to come back for updates. 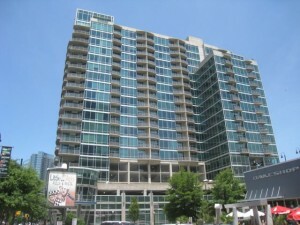 Metropolis Midtown Atlanta started the “condo building craze” that went until 2008. When first introduced, the building, which has two towers was going to be condos in one tower and apartments in the other. The first condo tower sold out so quickly the converted the second tower to condos as well. There was quite the rage about the roof top pool and the cranes that lifted the large planters and trees up to the 7th floor! Click Here to learn more about life at Metropolis Midtown Atlanta. In 2016, there were 59 homes sold in the building. The number of homes sold was down slightly for 1 bedrooms, but a dramatic 50% decrease for 2 bedroom sales from 2015. The average days on the market were 36, but there were some sales that took longer, including one Penthouse that was on the market for 254 days. Note there were two Penthouse sales in 2016, not noted in the numbers above. Number 2010 sold for $650,000 and Number 2011 sold for $820,000. See all Real estate in the Metropolis tract. Data last updated: 4/19/19 3:36 PM PDT. Data last updated: 4/18/19 4:10 PM PDT.